It signifies national pride, so be a sport! Finding something in the city center should not be difficult, since many stores will be selling orange shirts, pants, and accessories leading up to this day. You don’t want to be that one person in a crowd of thousands wearing another color – it might get messy. We all know that the weather in the Netherlands never ceases to disappoint. Fact: people carried their winter coats for the past 2 years. Maybe things will be a little different this year (we can hope! ), so don’t forget to check the weather and dress appropriately! Public transport routes will usually change routes and only run to the outskirts of city centers. We recommend doing your research a few days before to find out what is available in the city you are looking to celebrate. We also suggest wearing comfortable shoes, because you will undoubtedly be walking and partying a lot! Mentally prepare to be in large crowds. If there was one way to describe this day it would be “rush hour on steroids”. The crowds will be unimaginable, so be prepared to be bumped into. Mentally prepare to interact with many inebriated people. There are many types of drunk, and if you haven’t seen them all before, you will! Everyone is just trying to have a great time, so keep it cool if any problems arise with your fellow partygoers. Markets selling food or drinks are known to mostly accept cash. We recommend withdrawing cash a day or two before to avoid long lines at the ATM and the possibility that some ATMs may run out of cash due to the volume of transactions. Know where to find the bathrooms. It’s simple. Human + alcohol = more trips to the bathroom. Locate the bathrooms available around you as soon as you arrive. This avoids wasting more time looking for it when you actually need to go the first time. Find a place to stay in advance. If you’re planning on spending the night away from your place, make sure to book your hotel or arrange with a friend in advance. Airbnb and hotel rooms are either fully booked or overpriced if you wait too long. Buy your alcohol in advance. Can you imagine walking into a liquor store the day before or King’s Day itself and seeing empty shelves? That’s depressing. Buy all your alcohol in advance if you plan on carrying it with you! Be mindful of your valuables. Take extra care of your phone, wallet, bag, and anything else you plan on carrying with you. With the vast number of people drinking, dancing, and singing in the streets, you might end up dropping something or being pickpocketed. Hopefully, these tips will help you have the best King’s Day ever! We look forward to seeing you in the streets decked out in all things orange. 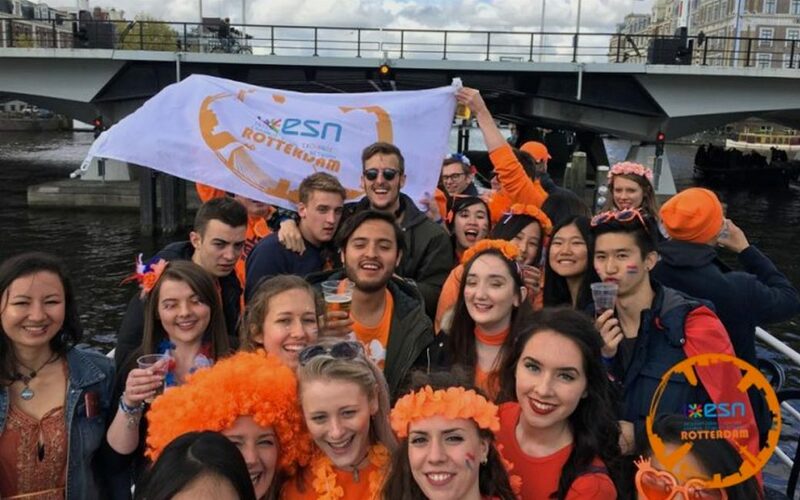 If you’re attending our King’s Day Boat Party, see you there! If not, hurry along and grab yourself a ticket, because this is definitely not a party you want to miss out on.